In a debut historical novel about the Great Migration a boy discovers Chicago's postwar South Side and the poetry of Langston Hughes. When 11-year-old Langston's mother dies in 1946, he and his father leave rural Alabama for Chicago's brown belt as a part of what came to be known as the Great Migration. It's lonely in the small apartment with just the two of them, and at school Langston is bullied. But his new home has one fantastic thing. Unlike the whites-only library in Alabama, the local public library welcomes everyone. There, hiding out after school, Langston discovers another Langston, a poet whom he learns inspired his mother enough to name her only son after him. Fourteen-year-old Joan Skraggs, just like the heroines in her beloved novels, yearns for real life and true love. But what hope is there for adventure, beauty, or art on a hardscrabble farm in Pennsylvania where the work never ends? Over the summer of 1911, Joan pours her heart out into her diary as she seeks a new, better life for herself - because maybe, just maybe, a hired girl cleaning and cooking for six dollars a week can become what a farm girl could only dream of - a woman with a future. Newbery Medalist Laura Amy Schlitz relates Joan's journey from the muck of the chicken coop to the comforts of a society household in Baltimore (Electricity! Carpet sweepers! Sending out the laundry!) , taking readers on an exploration of feminism and housework; religion and literature; love and loyalty; cats, hats, and bunions. Although Mitsi Kashino and her family are swept up in the wave of anti-Japanese sentiment following the attack on Pearl Harbor, Mitsi never expects to lose her home -- or her beloved dog, Dash. But, as World War II rages and people of Japanese descent are forced into incarceration camps, Mitsi is separated from Dash, her classmates, and life as she knows it. The camp is a crowded and unfamiliar place, whose dusty floors, seemingly endless lines, and barbed wire fences begin to unravel the strong Kashino family ties. With the help of a friendly neighbor back home, Mitsi remains connected to Dash in spite of the hard times, holding on to the hope that the war will end soon and life will return to normal. Though they've lost their home, will the Kashino family also lose their sense of family? And will Mitsi and Dash ever be reunited? Bo at Ballard Creek by Kirkpatrick Hill is an unforgettable story of a little girl growing up in the exhilarating time after the big Alaska gold rushes. Winner of the Scott O'Dell Award for Historical Fiction, Chickadee is the first novel of a new arc in the critically acclaimed Birchbark House series by New York Times bestselling author Louise Erdrich.Twin brothers Chickadee and Makoons have done everything together since they were born—until the unthinkable happens and the brothers are separated.Desperate to reunite, both Chickadee and his family must travel across new territories, forge unlikely friendships, and experience both unexpected moments of unbearable heartache as well as pure happiness. And through it all, Chickadee has the strength of his namesake, the chickadee, to carry him on.Chickadee continues the story of one Ojibwe family's journey through one hundred years in America. School Library Journal, in a starred review, proclaimed, "Readers will be more than happy to welcome little Chickadee into their hearts. Melding the entirely true and the wildly fictional, Dead End in Norvelt is a novel about an incredible two months for a kid named Jack Gantos, whose plans for vacation excitement are shot down when he is "grounded for life" by his feuding parents, and whose nose spews bad blood at every little shock he gets. But plenty of excitement (and shocks) are coming Jack's way once his mom loans him out to help a fiesty old neighbor with a most unusual chore -- typewriting obituaries filled with stories about the people who founded his utopian town. As one obituary leads to another, Jack is launced on a strange adventure involving molten wax, Eleanor Roosevelt, twisted promises, a homemade airplane, Girl Scout cookies, a man on a trike, a dancing plague, voices from the past, Hells Angels . . . and possibly murder. Endlessly surprising, this sly, sharp-edged narrative is the author at his very best, making readers laugh out loud at the most unexpected things in a dead-funny depiction of growing up in a slightly off-kilter place where the past is present, the present is confusing, and the future is completely up in the air. Tall tale. Thriller. Gripping historical fiction. 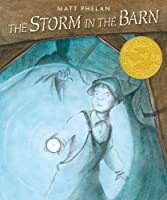 This artful, sparely told graphic novel — a tale of a boy in Dust Bowl America — will resonate with young readers today.In Kansas in the year 1937, eleven-year-old Jack Clark faces his share of ordinary challenges local bullies, his fathers failed expectations, a little sister with an eye for trouble. But he also has to deal with the effects of the Dust Bowl, including rising tensions in his small town and the spread of a shadowy illness. Certainly a case of dust dementia would explain who or what Jack has glimpsed in the Talbots abandoned barn — a sinister figure with a face like rain. In a land where it never rains, its hard to trust what you see with your own eyes — and harder still to take heart and be a hero when the time comes. Newbery Medalist and CSK Award winner Christopher Paul Curtis's debut middle-grade/young-YA novel for Scholastic features his trademark humor, compelling storytelling, and unique narrative voice.Eleven-year-old Elijah is the first child born into freedom in Buxton, Canada, a settlement of runaway slaves just over the border from Detroit. He's best known for having made a memorable impression on Frederick Douglass, but that changes when a former slave steals money from Elijah's friend, who has been saving to buy his family out of captivity in the South. Elijah embarks on a dangerous journey to America in pursuit of the thief and discovers firsthand the unimaginable horrors of the life his parents fled--a life from which he'll always be free, if he can find the courage to get back home. It is 1943, and 11-year-old Dewey Kerrigan is traveling west on a train to live with her scientist father - but no one, not her father nor the military guardians who accompany her, will tell her exactly where he is. When she reaches Los Alamos, New Mexico, she learns why: he's working on a top secret government program. Over the next few years, Dewey gets to know eminent scientists, starts tinkering with her own mechanical projects, becomes friends with a budding artist who is as much of a misfit as she is - and, all the while, has no idea how the Manhattan Project is about to change the world. This book's fresh prose and fascinating subject are like nothing you've read before. Her name is Omakayas, or Little Frog, because her first step was a hop, and she lives on an island in Lake Superior.It is 1850, and the lives of the Ojibwe have returned to a familiar rhythm: they build their birchbark houses in the summer, go to the ricing camps in the fall to harvest and feast, and move to their cozy cedar log cabins near the town of LaPointe before the first snows.The satisfying routines of Omakayas's days are interrupted by a surprise visit from a group of desperate and mysterious people. From them, she learns that all their lives may drastically change. The chimookomanag, or white people, want Omakayas and her people to leave their island in Lake Superior and move farther west. Omakayas realizes that something so valuable, so important that she never knew she had it in the first place, is in danger: Her home. After Nathaniel's leg is crushed in an accident, his father brings home an orphan boy, John Worth, to help work the fields. Worth has come to Nebraska from New York City on the Orphan Train, which brings homeless children west to find new lives. Nathaniel feels increasingly jealous of the boy who has taken over not only his work but the attention of his father, who has barely spoken to him since his injury. In school for the first time he is far behind even his youngest classmates, and he feels as useless there as he does at home. Meanwhile, Worth is still grieving for his family and his old life. As the farm chores prevent him from going to school, he also resents losing his dream of an education and a good job. And for all the work he does, he knows he will never inherit the farm that he's helping to save. Richard Peck is a master of stories about people in transition, but perhaps never before has he told a tale of such dramatic change as this one, set during the first year of the Civil War. The whole country is changing in 1861-even the folks from a muddy little Illinois settlement on the banks of the Mississippi. Here, fifteen-year-old Tilly Pruitt frets over the fact that her brother is dreaming of being a soldier and that her sister is prone to supernatural visions. A boy named Curry could possibly become a distraction. Then a steamboat whistle splits the air. The Rob Roy from New Orleans docks at the landing, and off the boat step two remarkable figures: a vibrant, commanding young lady in a rustling hoop skirt and a darker, silent woman in a plain cloak, with a bandanna wrapped around her head. Eleven-year-old Samuel was born as Master Hacklers slave, and working the Kentucky farm is the only life hes ever knownuntil one dark night in , that is.With no warning, cranky old Harrison, a fellow slave, pulls Samuel from his bed and, together, they run. The journey north seems much more frightening than Master Hackler ever was, and Samuels not sure what freedom means aside from running, hiding, and starving. But as they move from one refuge to the next on the Underground Railroad, Samuel uncovers the secret of his own pastand future. And old Harrison begins to see past a whole lifetime of hurt to the promise of a new lifeand a poignant reunionin Canada.In a heartbreaking and hopeful first novel, Shelley Pearsall tells a suspenseful, emotionally charged story of freedom and family. Winner of the Coretta Scott King Award! Millions of fans have followed the Logan family in their seven-book series. Living in the South in the not-so-distant past, the Logans are the only black family to own farmland, while most of their black neighbors are sharecroppers on white-owned land. But where did this valuable legacy come from? The story begins with Paul-Edward Logan, grandfather of Cassie Logan, the beloved protagonist of Newbery Medal–winning Roll of Thunder, Hear My Cry. Born during the Civil War, Paul-Edward is the son of a white plantation owner and a former slave. Though not an unusual heritage, his upbringing is. Paul-Edward’s white father sees to it that he and his sister have many of the privileges their white half-brothers enjoy.